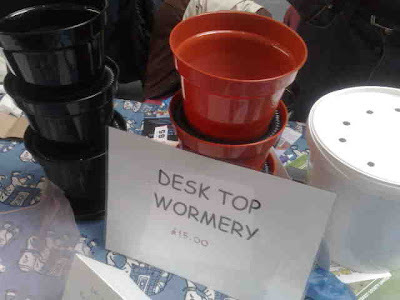 Look, you can even get a wormery for your desk at work! Hot on the heels of yesterday's post about my new Worm Cafe wormery, comes the news from Recycle Now that lack of space in the garden is one of the main reasons given by many people for not composting garden and household waste. However according to Recycle Now’s Home Composting campaign, it need not be a barrier and with so many composting and other options available, anyone with outside space – around 95 per cent of households - should be able to give it a go. Recycle Now's research reveals that over a third of us already compost garden and household waste in one way or another, using a compost bin or heap. Of those that don’t, one in four say this is because they do not have the space. But as we've already seen on this blog, even the smallest outdoor spaces can be used for making compost. “With so much choice available, anyone with outside space can compost at home. Even those of us with just a small patio or balcony, can do our bit, for example by using a wormery to turn waste food into free food for plants- indoors or out." 1. Heap or bin? A compost heap is perhaps one of the most traditional methods for composting. However, compost bins are now widely available and popular as they are simple to purchase, construct and use. 2. What type of bin is for me? There are compost bins of all shapes and sizes, to suit your gardening needs. · Small garden? There are many alternative designs of compost bin to suit all garden needs such as beehive designs or bins made out of recycled wood. · Balcony or porch? A wormery is the ideal solution for someone with little or no garden. · Lots of space? The opportunities are endless – there are a range of larger bins available from many Local Authorities and most garden centres. · No outside space? Some councils offer a separate collection for food or garden waste. 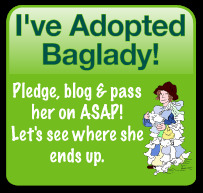 Why not check with your local council to see if this option is available in your area. 3. Garden design: If you are concerned about how your garden will look when you start composting, build the bin into the design of your garden. Compost bins could be disguised behind surround made of either brick or timber (or stone if in keeping with your garden), or you can put trellis in front of your bin and grow climbers over it for a really natural screen. 4. Getting started: Simply add a selection of ‘greens and browns’ to the bin for the perfect mix. ‘Greens’ are quick to rot and provide important nitrogen and moisture – try tea bags, vegetable peelings, old flowers and nettles, or spent bedding plants. ‘Browns’ such as cardboard, fallen leaves, twigs and branches are slower to rot, but provide carbon and fibre to the bin. To support Recycle_Now's campaign I would love to feature photos of your home composting solution as well as details of the most unusual things you compost. I'll publish my favourites on the blog at the end of the month. Either email at karen[at]therubbishdiet[dot]co[dot]uk or send me a link via Twitter. 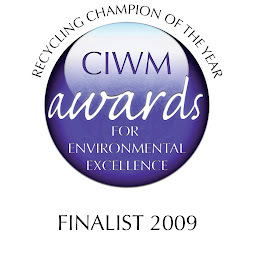 This is a great news for people who wants to recycle their household waste. Very encouraging article for all those people are planning to recycle their household waste.Thanks for the post. Killing Thyme but it isn't all bad news!